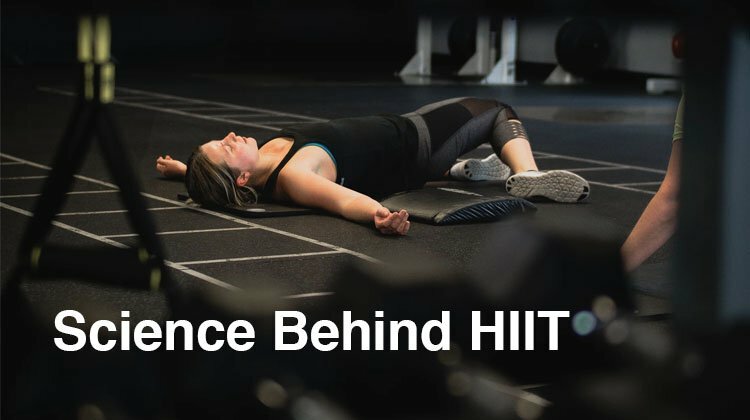 If you haven’t heard, HIIT (short for High-Intensity Interval Training) is a great training technique to add to your workout arsenal, especially if you have busy days and struggle to fit your gym times in. Or, you could be getting bored of your usual 30-minute treadmill and want to add some intensity and change every other week. Due to its flexibility in terms of exercise selection equipment (you can do without any! ), HIIT has helped many people adhere to their fitness goals. There’s also science to why it’s so effective, other than pure convenience! This article “Is HIIT Worth It?” sheds some insight on the various benefits you can reap from a HIIT workout, from how it increases longevity to the effects of HIIT on young and overweight males and females. Here’s what you need to know about the science behind HIIT. We all know working out burns calories, but many haven’t grasped that we continue burning calories post-workout. This process is called post-exercise oxygen consumption (EPOC). EPOC is needed to restore our body to its resting state by increasing oxygen uptake. The oxygen is used for producing adenosine triphosphate (ATP), to replenish the used-up ATP during the workout, as well as other restorative processes in the body. This increased oxygen uptake alone requires energy, meaning you burn more calories. A study found that EPOC alone can burn between 6-15% of the total energy burned during the whole workout. The higher the workout intensity, the higher the EPOC. So, if you’re workout time is limited and you want to maximize your results in the quickest time, do consider training super intensely. You might be thinking that HIIT isn’t good if you have a weak heart, but a study seemed to have denied this. To summarize this study, twenty-one patients of coronary artery disease (CAD) were split into two groups (treadmill walking at high intensity and moderate intensity) at random. Their workouts were done three times a week, for 10 weeks. It was recorded that VO2peak, or peak oxygen uptake for the high-intensity and moderate-intensity groups were increased by 17.9% and 7.9% respectively. This study concluded that HIIT training is superior for increasing VO2peak in stable CAD patients compared to moderate-intensity training. However, this study was done on stable patients. If you have a history of heart disease, you should consult your certified medical professional before undergoing HIIT. Speaking of heart diseases, those who have metabolic syndrome are three times as likely to die of a heart attack. Metabolic syndrome is a condition that is a cluster of increased blood pressure, excess body fat around the waist, high cholesterol and high blood sugar- commonly found in those who follow a processed-western diet. Following a HIIT routine has been known to reduce some of the symptoms of metabolic syndrome, as shown in a study found in Circulation. Thirty-two metabolic syndrome patients were randomly split into two groups: continuous moderate exercise (CME) and aerobic interval training (AIT) of equal volume. This study was conducted three times a week for 16 weeks. The results concluded that AIT was indeed more effective in insulin signaling in fat and skeletal muscle as well as reducing blood sugar in fat tissue. Both exercises, however, were similarly effective in lowering arterial blood pressure and reducing body weight. If we managed to convince you to give HIIT a try, you can start with these 2 HIITs for burning fat. Try to do as many reps of every exercise as you can, within the given amount of time (unless it’s a holding exercise, like planking, then try to hold the same position for that time). This HIIT is more intense than the previous one. I would recommend beginners to only use the barbell bar itself, without adding weight. If you are more experienced with workouts, you can add weight accordingly. Just remember to leave your ego at the door with this one. HIIT is a great way to give your regular workout routine a twist if you fancy gruesome, high-intense workouts. However, it’s not only for the fittest of athletes, as more studies show the benefits it brings to unhealthy people as well.